Every now and then we hear someone tell us that email marketing is dead. That Facebook ads or some other social pay-to-play strategy has once and for all buried the power of email. But in reality, what strong marketers know is that email marketing is anything but dead. In fact, email marketing smokes social media by 40X for new client acquisition. Usually the people claiming that email marketing is long gone, simply have a dead list because of lazy marketing habits and strategies, not because the platform isn’t powerful. People are more protective of their inboxes, more critical of the content they read and the marketers they trust. But if you can move past those initial barriers, use detailed data to get to know each segment of your list and provide them with valuable information that makes your presence in their inbox irreplaceable - you’ll be introduced to the most powerful email marketing era you’ve ever witnessed. Want in on the action? Here are 5 easy ways to breathe some life into a list that is on it’s way out. Sounds a lot like Gary V’s Jab, Jab, Jab, Right Hook, marketing strategy, doesn’t it? And for good reason. People aren’t going to just give you their information, email or dollars without a heck of a lot of value up front. While opt-ins have lost of some of their luster, the best of the best are rising to the top - those that successfully add people to their list and create engaging subscribers give away content right up front that can be used immediately - and with results. Without giving away valuable content, you run the risk of “asking too much too soon” which is a surefire way to land straight into the spam folder. Make it habit for every sales promotion or “asking” email that you preface it with three pieces of valuable advice, content, or data. A simple rule to follow that ensures that you always give more than you take and convert far more subscribers into paying customers. People on your list are like milk. They have an expiration date and a quick one. Just because someone signed up for your list two weeks ago doesn’t mean they’re still interested. Subscribers that are months old who produce no engagement are better off getting the ax than drying up your list and skewing data. It can feel counter productive cutting names off a list when you’ve worked so hard to collect them, but a dead list will affect how you deliver content, so it’s better to give them the boot and collect accurate information from only those who engage. Before you do the cutting we mentioned above (which is important to do!) it’s a good idea to try and re-engage some of those fans. By monitoring data, you can create new list of names that repeatedly provide little to no engagement and simply re-email those names with a special offer and an opportunity to re-engage with your list. This is a great time to include a special offer, promotion, freebie and also a GREAT time to ask them what they’d like to see from you, or simply ask them why they haven’t been participating. A simple “Was it Something I Said” email, can go a long way in capturing an unengaged segment of the list and prompting them to tell you why they haven’t been active, or at least jolt them into participating again. At this point if they still don’t re-engage, it’s time to drop them from the list. One of the most challenging aspects of writing content for an email list is that sometimes it feels like you’re writing to nobody and then sending that message straight into thin air. We can’t guarantee much, but we can guarantee this - email content that feels disconnected while you’re writing it, always feels disconnected for the person reading it! Email subscribers want to feel like you know them. Is your content speaking directly to who they are? Are you speaking to the problems they want to solve and are you giving enough personal details about yourself to help your email subscribers get to know you as the person who can help them? At the end of the day, your subscribers should look forward to hearing from you! Friendly, informative and personalized emails are the goal. Not sure where to start? Even just a simple, personalized subject line improves your open rate by 26%. 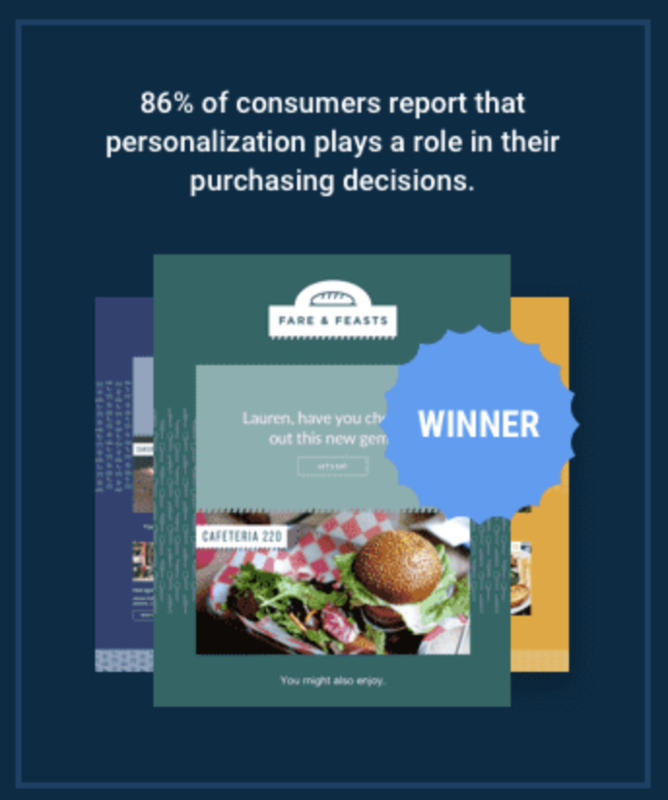 And according to Campaign Monitor, 86% of customers report that personalization plays a role in their purchasing decision. In 2017 we’re still seeing way too many emails going out from a no-reply email address. Why would you knowingly tell your list you don’t care to hear back from them? As SendGrid points out, email communication is and should be more than just a one way conversation. Nobody wants to be talked at and if your subscribers know up front there’s no way for them to reply to the email, they aren’t going to feel all that invested in your message or your company. Plus, the no-reply email sends the message that you aren’t really open to hearing from the same people you’re trying to sell to. Not a great sales tactic, if you ask us. How is your list converting? We’d love to hear how your team is rocking out email marketing, getting opens and making sales! If we’ve left any easy tips off this list, make sure to add them in the comments!